This bracelet entwines .999 fine silver wire with freshwater pearls, mother of pearl shell, Swarovski crystals, and faceted glass beads. 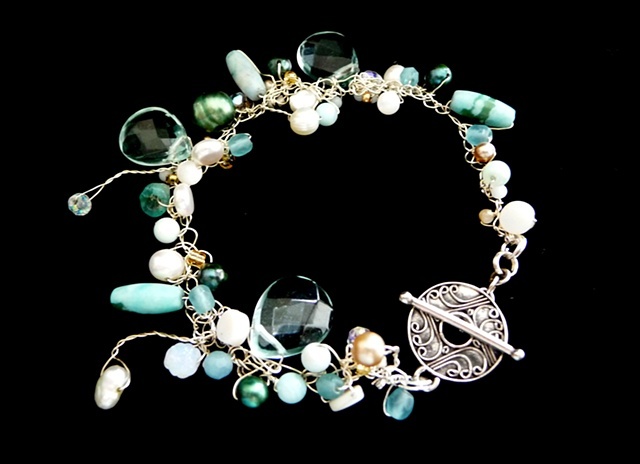 This freeform bracelet features random clusters and tendrils throughout. It is finished with a sterling silver, swirl design toggle clasp.